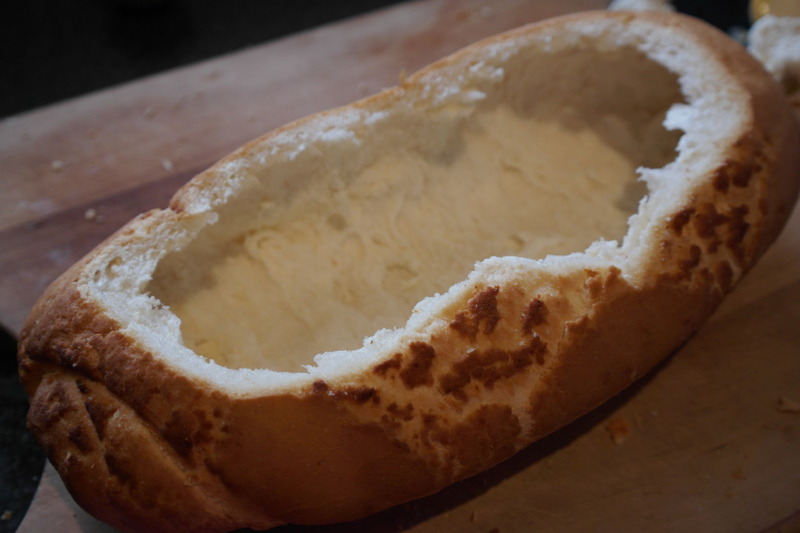 OK, strictly speaking this isn’t a Cobb Loaf: I wanted to take a new photo and after looking at three supermarkets: I gave up. 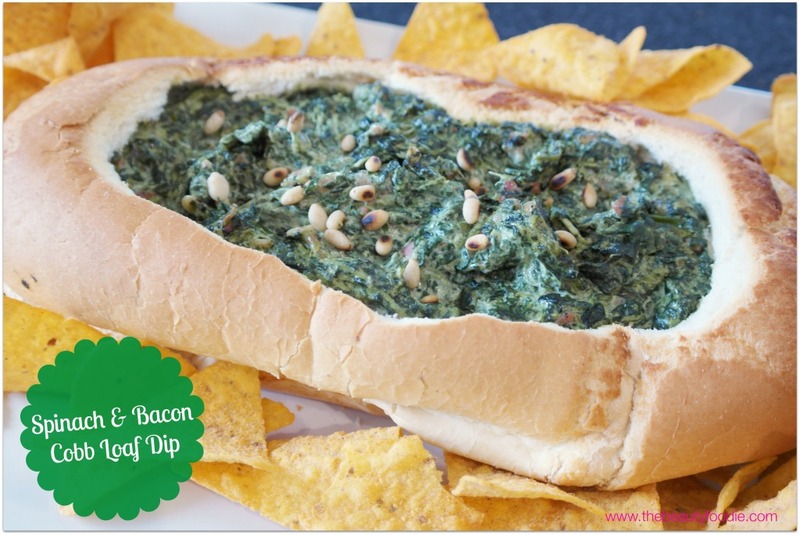 I guess this is a ‘loaf dip’. Oh well. I’ve been making this hot dip for years and it’s always a hit. Some of my friends have been known to invite me around for dinner on the proviso I bring this with me for nibbles! It’s simple to make and it has serious WOW factor (the photo of the finished product here hasn’t really done it justice…). It’s a dish that’s especially popular with the boys. My boss tried it under duress (it doesn’t look particularly pretty, lets be honest) and he raved and raved about how good it was. I’ve also made just the filling as a pasta sauce, it’s absolutely delicious folded through penne or bog-standard macaroni (even my fussy kid eats it).Incidentally, I’ve seen various versions of this over the years: One without the spinach and bacon, replaced with chunks of ham and pineapple instead (yum!). I’ve also made it with a punnet of cream cheese, feta, heaps of basil pesto and pine nuts (double yum and a great option for vegetarians). But, the recipe below firmly remains my favourite version, so I thought I’d share it with you. Enjoy! Step 1: Preheat oven to 180 degrees (normal bake). Step 2: Heat olive oil in a frying pan. Add onion and bacon, fry until golden. Step 3: Place the (cooked and well drained) spinach in a large bowl. Add onion, bacon, cream cheese and feta cheese. Mix well till combined. 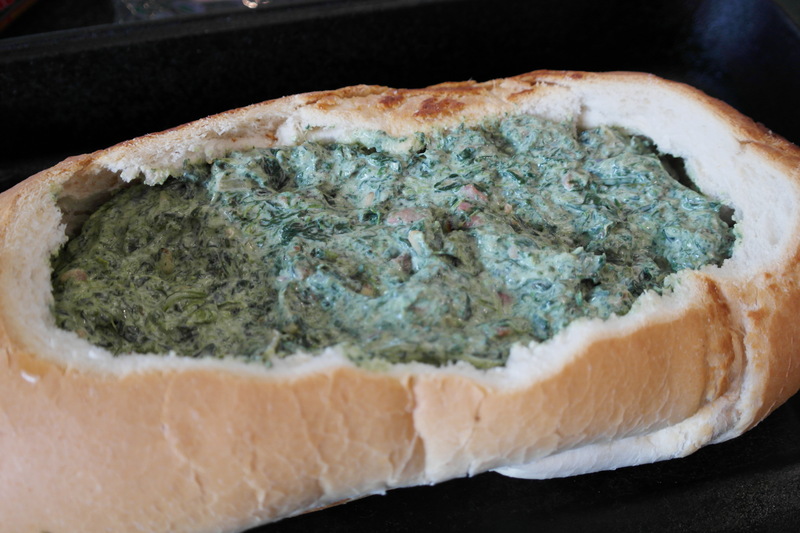 Step 5: Place all of the spinach mixture in the hollowed out loaf. Step 6: Transfer the cobb loaf to a roasting dish. Bake for 20-25 minutes until the top of the bread is golden. Step 7: Transfer to a serving dish, surround with corn chips – voila! Enjoy the dip while it’s hot. 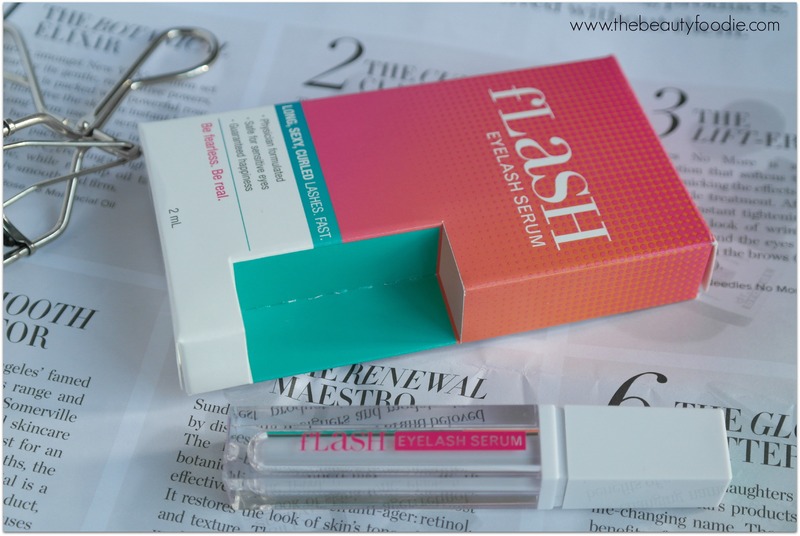 Setting Spray – Face Hairspray!